Monday at 11:00 CET the Award Ceremony for FL-junior took place downtown Alta. The winners received their Norwegian Championship medals, and the winners as well as the other participants received various other prizes and awards, in addition to their diplomas. There was quite a nice turnout when the event took place in the finish area of the race. 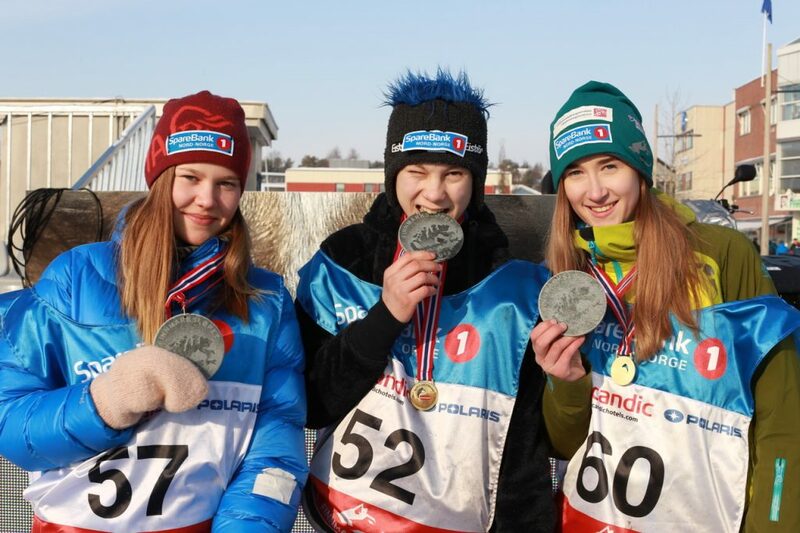 Ole Henrik Isaksen Eira, Solveig Kristine Kvam and Maria Jøraholmen received their gold, silver and bronze medals respectively; slate medals from Peskatun. Martin Corell of the Youth Committee at the Norwegian Sleddog Association greeted the young mushers and congratulated them on their achievement. The prizes included dog equipment, luhkka (traditional Sami coat) and a basic course in dog massage. Helene Sørensen, who was hit by a snowmobile while on trail and subsequently had to scratch from the race, also received some attention from the race authorities. She got a jacket from the race shop and a written confirmation that she will be granted a free entry if and when she chooses to register for Finnmarksløpet 2019, whether she prefers to enter the Junior class or the FL-500 class (she turns 18 and can chose). 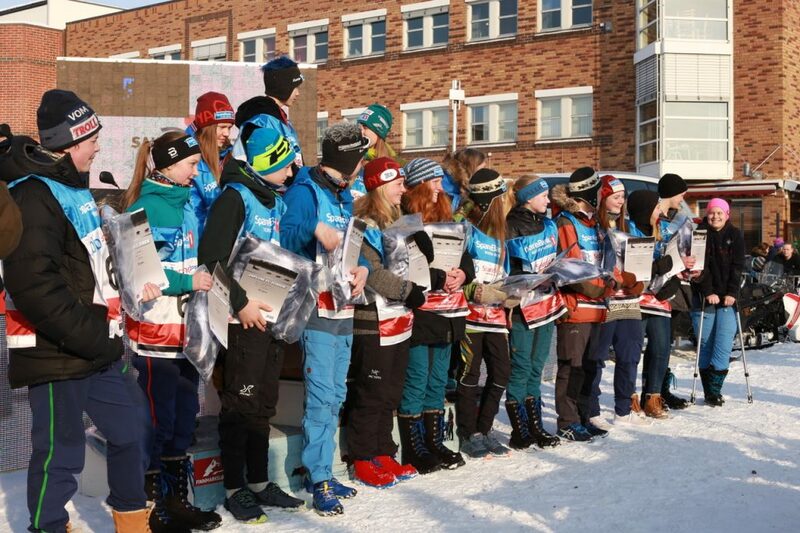 A total of 15 young mushers completed the FL-junior race 2018. Congratulations to you all!